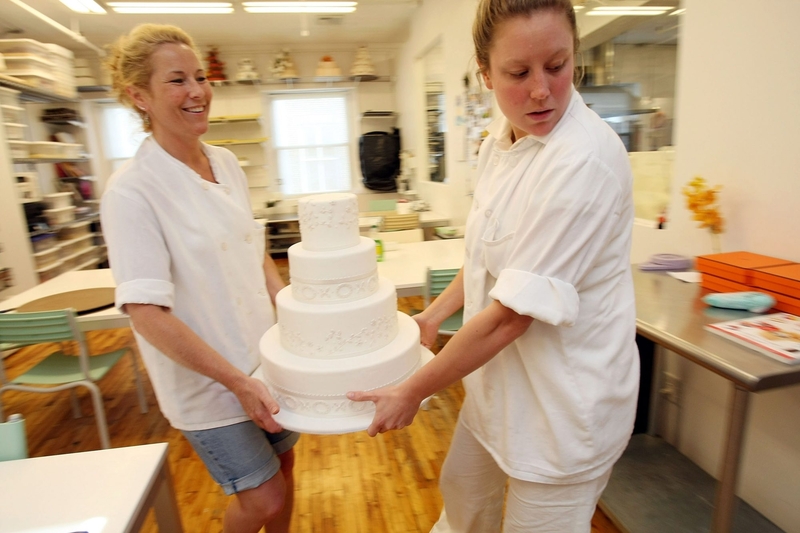 Jen Roberts from Sweet Element in East Orange, N.J., advises couples not to transport their wedding cake, but let the experts deliver it to avoid disaster. – Christine Guzman, the Quaint Cake Co., Boca Raton, Fla.
– Nichole Wander, Yummy’s Gourmet Cakes, Coralville, Iowa. – Pam, W.O.W. Cakes, Wichita, Kan.
– Maui Wedding Cakes, Kihei, Hawaii. – Kristie Robles, Kristie’s Cakes & Cookies, Littleton, Colo.
– Jessica Haskell, Sweet Surrender Dessert Cafe, Louisville, Ky.
– Larry Bach, Sprinkles Custom Cakes, Winter Park, Fla.
– Jen Roberts, Sweet Element, East Orange, N.J.
• Don’t forget to eat your cake! Couples often don’t get a chance to eat their own wedding cake. Ask your caterer to save some for you. Share it with your new spouse as a snack that night or taste it at the post-wedding brunch. You deserve to enjoy the cake you worked so hard to help create. Hint: If you’re planning to keep your top tier for your one-year anniversary, make sure that your caterer wraps it in tin foil and packages it into a tight storage container for the freezer.